JollySweets’s sounded squeeze bath toys make bath time more fun. 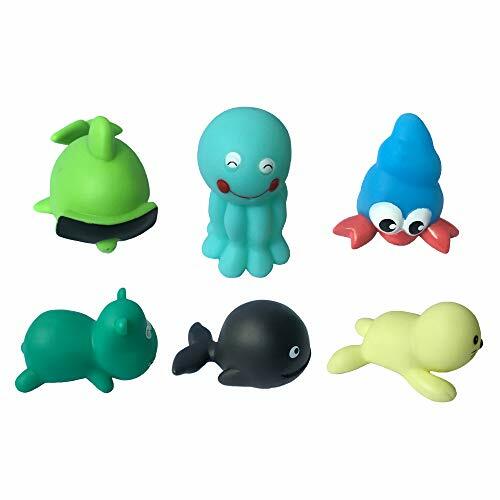 Little squeeze bath toys help improve coordination and encourage imaginative play. Bright colors and playful designs will provide countless hours of fun for your little one. It helps to develop hand-eye coordination and stimulate your baby’s senses. 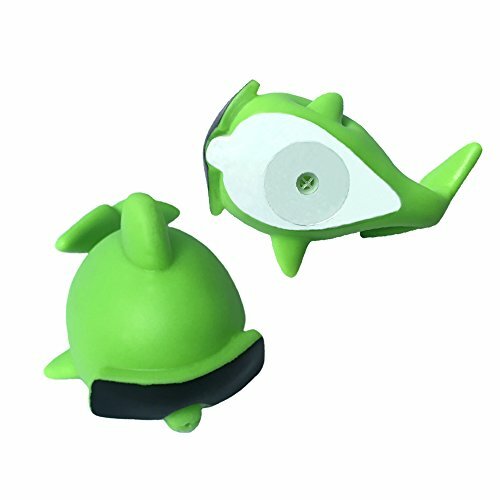 This toy provides endless fun in the bath or pool. This product exceeds all government safety regulations and standards. 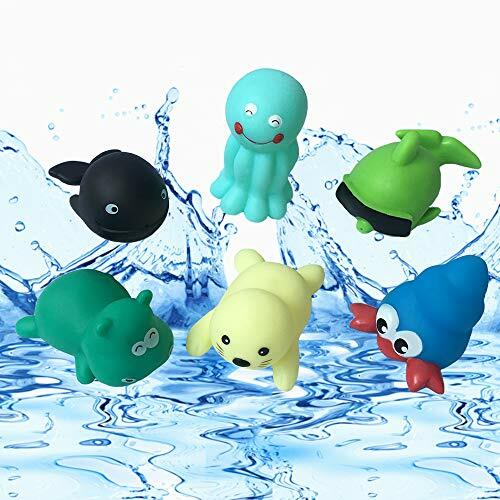 Non-Toxic: BPA Free, Phthalate Free, Lead Free, BPA Free..
【Highlight】Brightly color rubber floating sounded bath toys that can be squeezed. 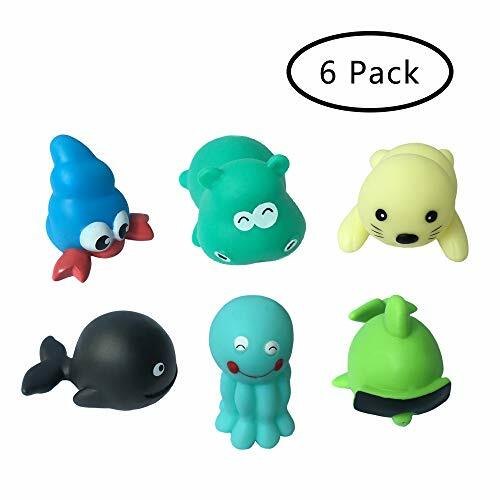 【Material】This assorted product includes 6 characters are made of non-toxic rubber. Smooth surface, perfect for little hands to hold and squeeze. 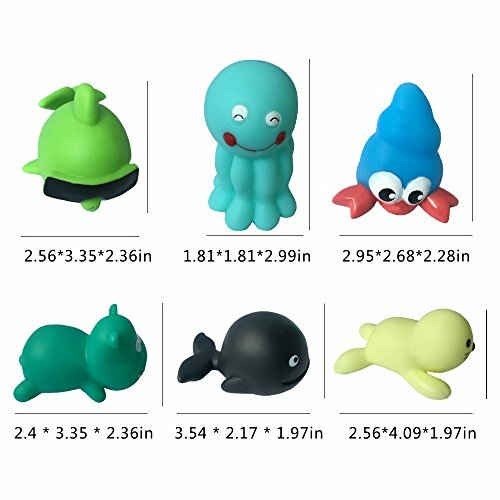 【Details】Fun floating characters include octopus*1 ,dolphin*1, crab*1, sea lion*1, hippo*1, whale*1. 【Features&Function】Squeeze them and they will make a sound. Kids like to play with sound toys, your little ones would fell in love with bathing, make bath time more fun. Encourages imaginative play and helps improve baby’s hand-eye coordination. 【Note】Recommend for age 19 Months+, children under 3 years old should play under adult supervision. 100% Safe & Non-Toxic: BPA Free, Phthalate Free, Lead Free.